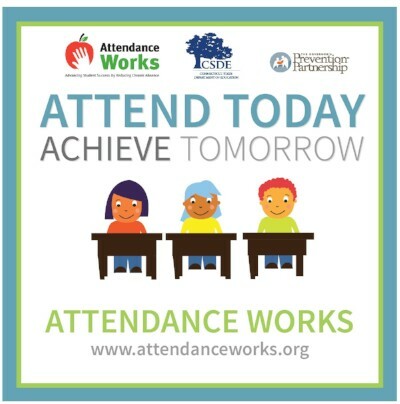 The Connecticut State Department of Education (CSDE), in partnership with Attendance Works and The Governor’s Prevention Partnership, have developed Connecticut’s Attendance Awareness Campaign, Attend Today, Achieve Tomorrow. 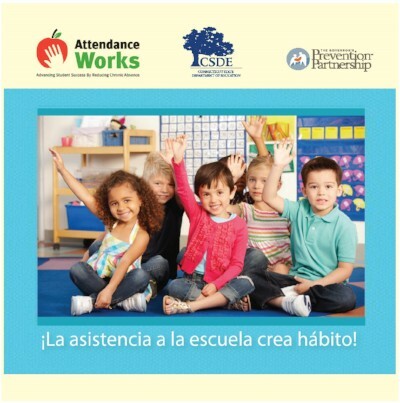 With one voice, Connecticut can improve the attendance of our students, beginning in September and continuing through the final day of school. This campaign is kicked-off in September as part of the nationally recognized Attendance Awareness Month. 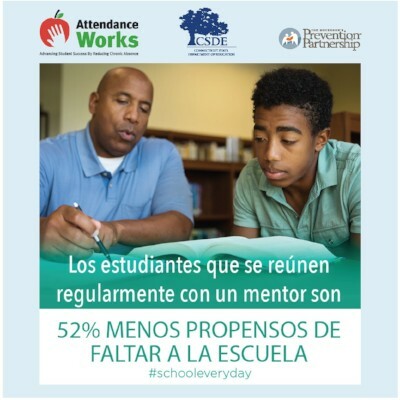 However, it is a message that should be repeated throughout the entire school year. This toolkit is designed to help you plan your involvement and enlist stakeholders who can help get the message out. Attendance Works offers a variety of options for promoting good attendance. No school, community or organization should feel that it needs to accomplish all of them. Instead, choose which options work best for you and build the support you need to do more in the following year. Download CT-branded graphics and messages to share on your social media pages. You can "right click" the image to save as a JPEG. A quality #mentoring program strengthens school-wide strategies to boost attendance in #attendtodayCT Be a mentor! Right Click on the image of your choice and save it to your computer. You can use these images as Facebook and Twitter posts. Combine them with other text to create your own unique message, or use one of the messages above.